Gemstones and graphite may seem an odd mix, but not when you have two projects very close to each other that give shareholders an entry point into two potentially very lucrative markets. 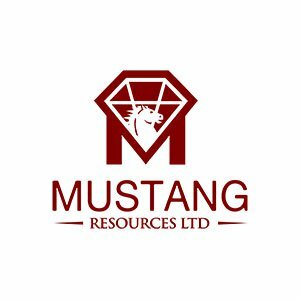 Mustang Resources (ASX:MUS) not only has hold of a prime gemstone asset, but also has a graphite asset its exploring at the same time. In Q3 2016, MUS will be commencing a bulk sampling program at its Montepuez Ruby Project. With $4.2MN in funding secured, the path forward is to demonstrate gemstone recoveries and gradually move toward selling rubies. 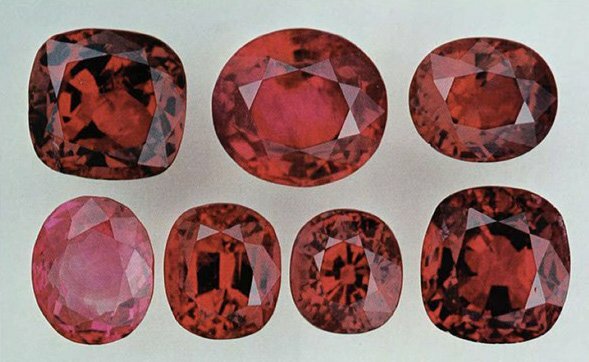 Rubies are sought after in international markets. Gemfields plc (AIM:GEM), has a ruby project right next door to MUS, and it recently announced details of the results of its auction of rough ruby extracted by Montepuez Ruby Mining Limitada (which it 75% owns), highlighting new record auction revenues of US$44.3 million and an average realised price of US$29.21 per carat. Meanwhile, another potential big-ticket item on MUS’s shopping list is its Balama Graphite Project located just a few miles away from Montepuez. A Resource definition work program will begin in Balama in Q3 2016, with a view to obtaining a maiden JORC Resource later this year. MUS’ graphite is positioned along strike from the $1.39BN Syrah Resources. Syrah recently signed a five year offtake agreement with major Japanese conglomerate Marubeni Corporation to purchase a total of 50,000 tonnes of coated and uncoated spherical graphite per annum. 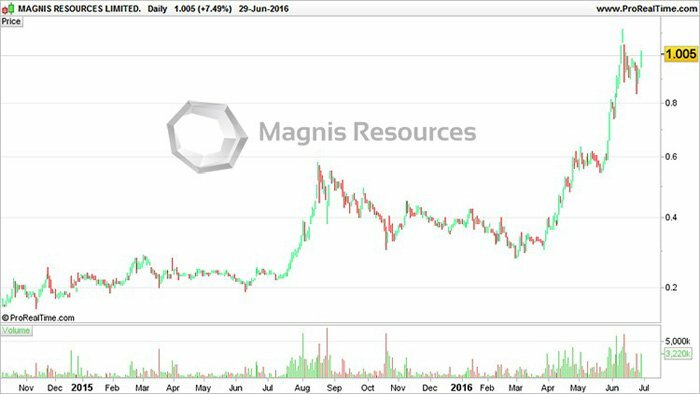 MUS is looking to hopefully unlock similar value if it can define its targeted JORC resource. 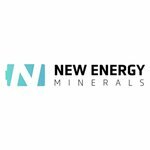 It will be helped by the inclusion of former Magnis Resources (ASX:MNS) geologist, Johan Erasmus orchestrating exploration progress. Erasmus will be pushing MUS to hopefully emulate Magnis’s (ASX:MNS) $413M valuation on the back of its graphite success. As all mining aficionados know, the more horses you have in the race, the better your chances of winning. MUS, through its two parallel East African projects, are looking to deliver a blend of diversification and opportunistic market positioning: ruby sales will target the luxury consumer market, while graphite is earmarked for the industrial market, where disruptive and revolutionary battery-manufacturers are lying in wait. 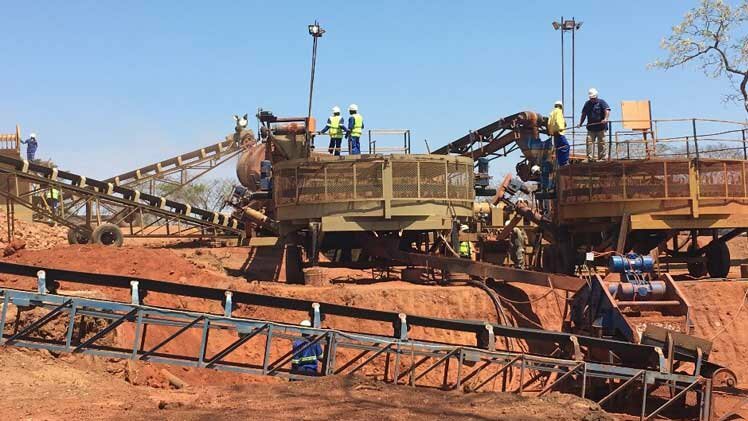 Following recent funding injections of $4.2M, MUS is well-placed to bring its graphite project into the JORC resource category and also conduct key metallurgical tests. A JORC Resource would be an important value-add step change and will undoubtedly significantly increase the inherent value of MUS’ projects and could potentially allow a JV or partnership to be executed. With MUS’ news-flow moving from trickle to torrent, we think now may be a good time to saddle up before it runs off into the hilly steppes of commercialisation. Mustang Resources (ASX:MUS) is an emerging gemstone developer and an aspiring graphite explorer to boot. We first covered MUS in our article, “ Tiny ASX Stock to Emulate $478M Neighbour in Ruby Race? Drilling Soon ” published in May. In the article, we focused predominantly on the MUS’ ruby project, and the company’s plan to follow in the footsteps of the £195.3M capped Gemfields plc (LSE:GEM). However, the overarching plan at MUS is to pursue both rubies and graphite — very different resources, but two resources that could potentially result in big outcomes – especially its graphite play if it happens to strike a large graphite resource. As you can see these are pretty diverse interests, which has led to Dirk van Dissel and Alistair Murray of Baker Young Stockbrokers to determine a price target of $0.19, – that’s 340% above current levels. Note that analyst price targets are no guarantee to eventuate – so don’t only consider this price target if considering an investment in MUS – please do your own research and consider your own personal circumstances before making an investment decision. The revival in the market for graphite explorers should see more valued ascribed to MUS’ graphite projects. Especially when put in context of other graphite explorers listed on the ASX that have enjoyed a recent rise in their share price as the market once again focuses on graphite and what role it will play in global lithium-ion battery markets. 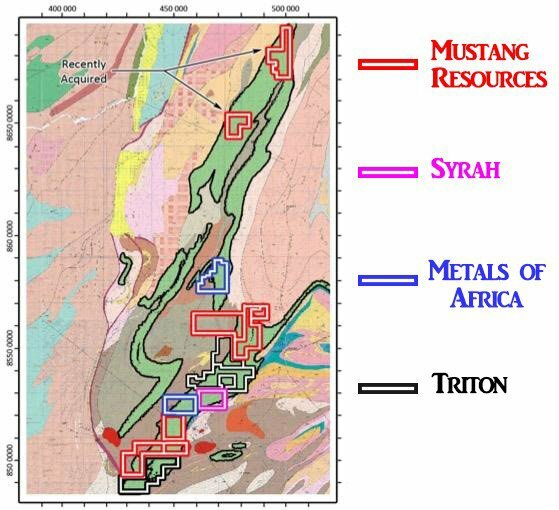 Mustang’s tenements surround the world leading graphite discovery of Syrah Resources. 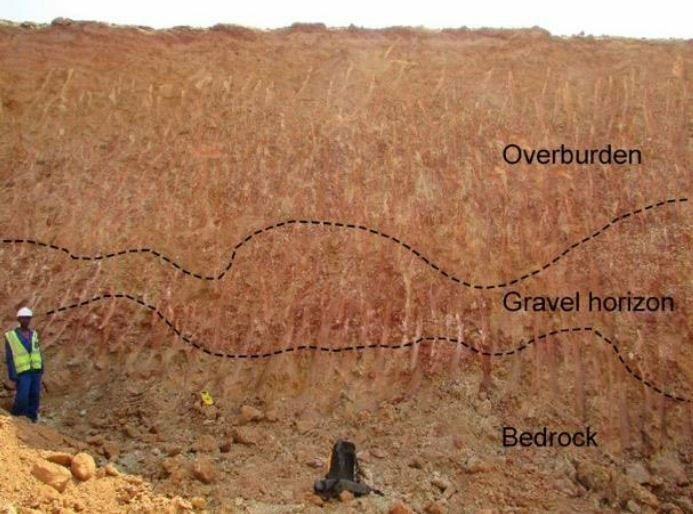 The geology of the region is very conducive for graphite mining — the Cabo Delgado region contains more graphite mineralisation than the rest of the world combined. It’s very likely that MUS’s tenements sit on top of the same strike extensions that Syrah has been drilling for several years. This ‘nearology’ factor is a great thing to have for MUS, capped at just $11MN. As you can see, MUS is has the lowest value of any of these companies — for now. Many of its peers have done diligent exploration, the necessary assay legwork and reported strong JORC Resources. These exploration paths have helped every single company exploring in Mozambique and Tanzania to raise its valuation over the past 12 months, including Volt Resources (ASX:VRC), Magnis (ASX:MNS) and Kibaran (ASX:KNL). ...and it all has to do with lithium-ion batteries and the energy storage revolution. In order to power electric cars, mobiles and laptops, lithium batteries require high amounts of lithium, graphite and cobalt. Current world supply of this trifecta of materials is nowhere near enough to facilitate the expected increase in battery production — and opportunistic graphite explorers have not missed a beat. As graphite demand has begun moving higher, so has the amount of exploration for high-grade graphite around the world. MUS wants to emulate its peers by doing exactly what they have done — pick up good assets with a strong likelihood of high-grade mineralisation, and diligently progress them to production — with the added diversifier of near term cash flow coming in from its ruby asset, located a few miles away. However, it is still in its early stages and MUS has a long road ahead. It is recommended investors do their own research before making an investment decision with regard to this stock. To help emulate its peers, MUS has just engaged a former Magnis Resources (ASX:MNS) consulting geologist to orchestrate its exploration progress. Johan Erasmus is a registered member of the South African Council for Natural Scientific Professions (SACNASP). This means he’s classified as a Competent Person qualified to compile geological assessments and more importantly, he understands exactly what kind of exploration data will be required, to obtain an economically viable JORC Resource at Balama. He knows this because he was the lead consulting geologist at the $408.8M Magnis Resources graphite project. Mr. Erasmus is a consultant of Badger Mining and Consulting, and has worked on various large exploration projects, but it’s his work at MNS that MUS will be leveraging most. MUS is looking to repeat something nearing this feat over the coming 1-2 years, and the first crucial milestone to achieving this goal, is to prove up a strong JORC Resource later this year. That will require both grade and quantity, and larger natural flake sizes an added bonus. As with all up-and-coming graphite projects, the proof is in the grade. It’s still early days at Balama, with no official JORC estimate or exploration target as yet. But already, there is a provisional exploration target based on two intersections done so far: borehole MORC 004 done on license 6678L and MORC 006 done on license 5873L. As a region, Balama has proven up the existence of both high-TGC grade graphite for all of the explorers carrying out exploration work in Mozambique. The Cabo Delgado region is saturated with mineralised geology, which is why there are so many different companies, doing so many different things in the region. For MUS, its rubies and graphite (with some outlying diamond potential as well), and both projects seem to have both the potential for good grade and overall quantity, to make MUS a worthwhile consideration. Red with envy because Rubies are the most expensive gemstone after diamonds. As we’ve mentioned, Mozambique sits on top some of the richest geological mineralisation in the entire globe. Mozambique is the equivalent of a ‘wonderland’ when it comes to geology, so bagging a few different options is a good way to go for any explorer. 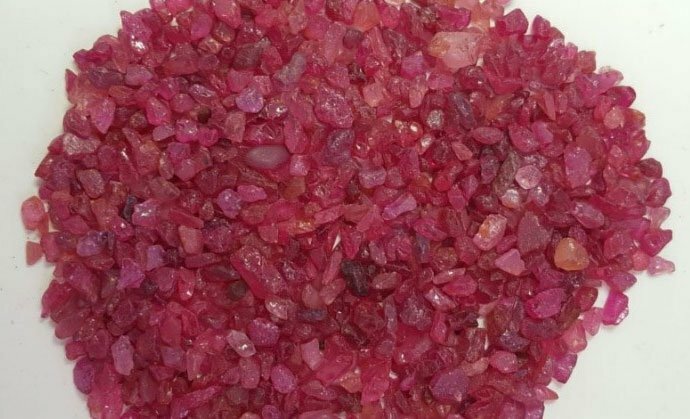 MUS acquired the rights to three prospective ruby licences next door to one of the leaders in precious gem production – a London Stock Exchange (LSE) listed company called Gemfields. Gemfields is a market leader with a current market cap of around £200MN (A$360MN), and MUS has managed to recruit the same geologist that was instrumental in setting up Gemfields for success. To give you an idea of what kind of performance MUS can realistically expect from just its ruby gemstone development, consider that Gemfields sold 5.98 million carats of rubies between 2012 and 2015 — netting over US$150MN in revenue and tripling its market cap. The six Montepuez auctions held since June 2014 have generated$1 million D in aggregate revenues. Of course, this type of outperformance is by no means guaranteed, but with the same personnel conducting development, and ruby prices continuing to grind out higher highs, MUS is hoping to get into profitable, near term ruby sales via the current bulk sampling programme. MUS has recognised that in order to successfully develop its much longer-term graphite play, it would be a good idea to generate short-term cash flow from an alternative source. This mission plan is on-track with MUS planning to open its first bulk-sampling pit later this year, after extensive systematic trenching and auger drilling. According to MUS, the pit could be as large as 50m x 50m or 100m x 100m, with a processing capacity of 600 tonnes per day (t/d) — and that’s just for starters. In less than a year after that, MUS is targeting a production capacity of 2,400 t/d. MUS is ready for bulk ruby sampling, and therefore close to revenues. The forthcoming bulk-sampling programme is the penultimate phase before MUS can go headlong into selling its gemstones — fingers crossed, by the end of 2016. Over time, MUS is looking to expand its ruby production to a full-scale gemstone mine, paid for by the cash-flow generated from early sales. In effect, MUS could take its Montepuez Ruby Project all the way to mature status, with no additional capital injections or capital raisings. What does any aspirational gem producer need most? A proven geologist with a twinkle in his eye of course. MUS has recruited Paul Allan, a former Gemfields consulting geologist who helped the company start its operations between 2012 and 2014 which developments & results led them to a market cap of AU$484M. The good news for MUS is that Mr. Allen knows East Africa better than the lines of his hand, which means his expertise will provide an invaluable ‘edge’ for MUS, over its peers. 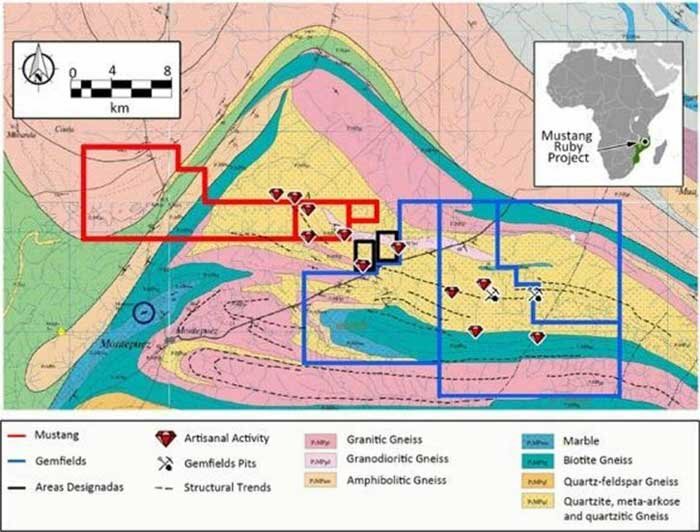 If we assess MUS’s strategy, it seems both in the graphite, as well as the ruby stakes, the plan is to bring in top-notch expertise that will guide its projects to fruition. A second tranche of $3MN in funding has been secured via Placement just this month , in addition to an oversubscribed $1.2MN share purchase plan. With funding now resolved until the end of the bulk-sampling programme, we think MUS is in with a good chance of being revalued on the back of its ruby sampling. At the same time, MUS is a speculative stock, and there is no guarantee an investment will be successful, so apply caution to any investment decision. In MUS, we have been alerted to yet another value proposition in terms of leveraging the oncoming boom in graphite demand, fuelled by the parabolic rise of lithium-batteries. The touch paper for graphite exploration has most certainly been lit, with an entire cavalry of small-cap resources companies now fighting for ground and the best resources around the globe. Here at The Next Small Cap , we get the eerie impression that the Resources sector is repositioning, consolidating and streamlining all aspects of mining operations. This is presenting both challenges and opportunities. The challenge is to maintain sufficient efficiency to keep projects economically viable given falling prices for most commodities. The opportunity is to cherry-pick some of the best small-cap players that have managed to pick-up strong assets at the low-end of the cycle. And to possibly move into new commodities that will truly underpin the world’s future. MUS’s diversification approach has the potential to be impressive. We’ve seen similar moves from budding lithium explorers, who’ve snagged some alluring gold assets to help with explorative cash flow. MUS has acquired sufficient funding, good tenements that are close to existing “JORC’ed” Resources, and, brought in expertise that has already ploughed the same turf in the past. All that’s left is for MUS to continue its development path, and hopefully bestow some price catalysts on loyal shareholders as the geological results trickle in. ...but when it comes to Mustang Resources, it’s already saddled, reigned and chomping at the bit to gallop into the commercial savannah of supplying tomorrow’s energy storage infrastructure.